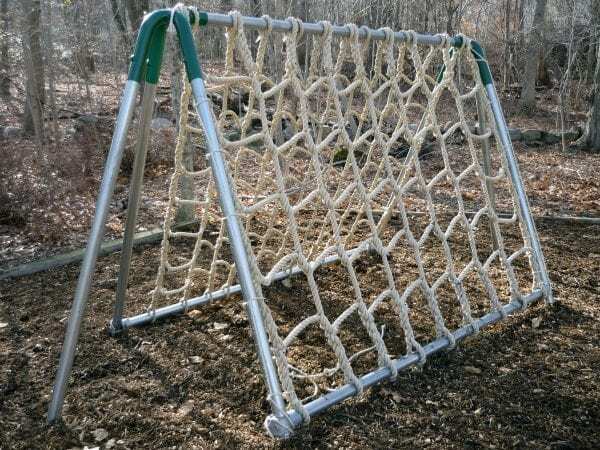 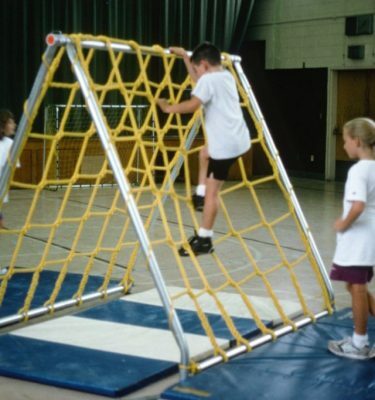 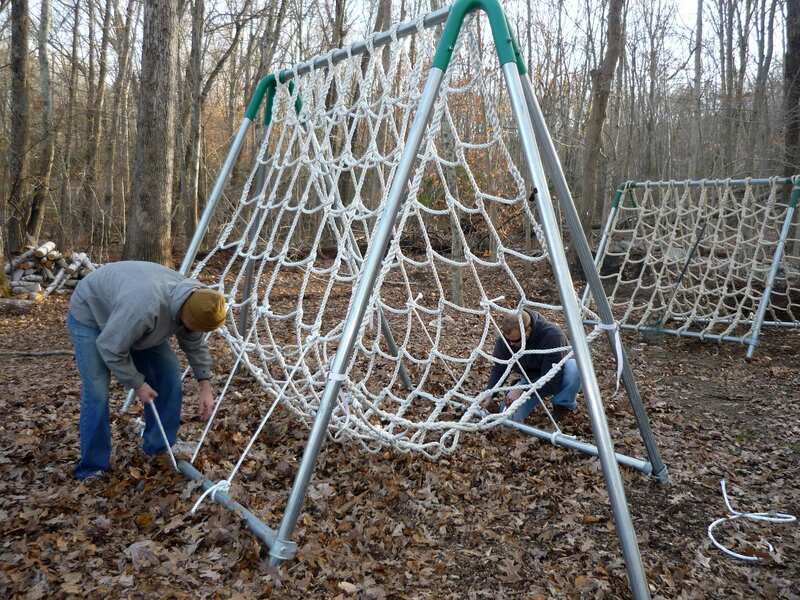 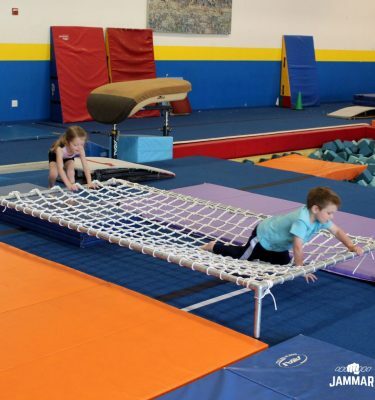 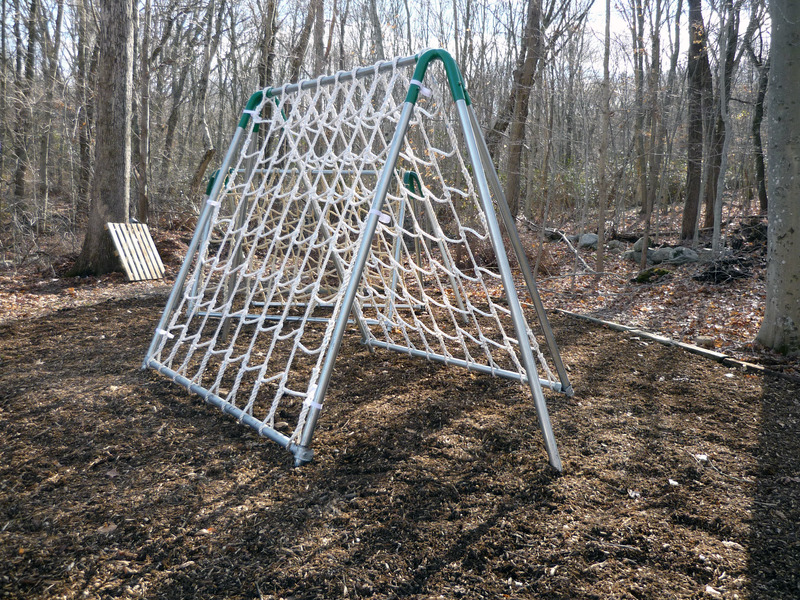 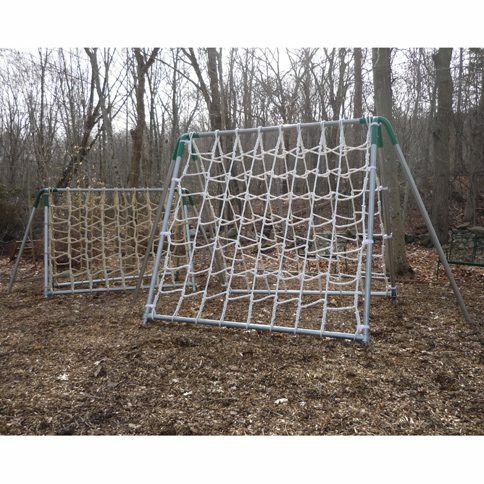 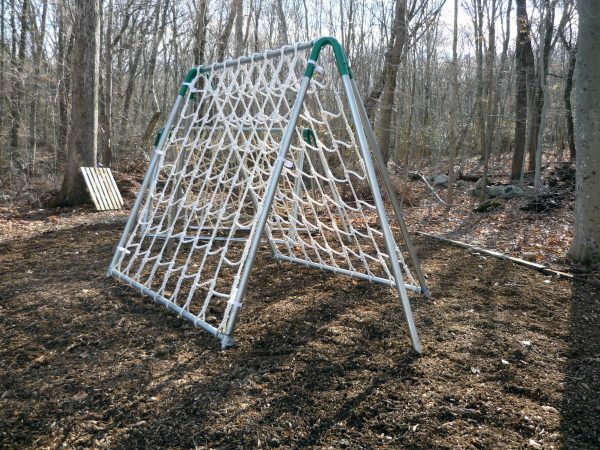 Outdoor Scaler Net Systems are constructed using 3/4″ diameter 3-strand twisted poly Dacron rope and using a 3 pass weave design and spliced border. 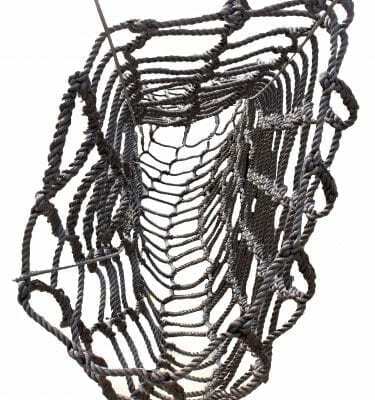 Available in 9 or 12 inch mesh openings, 9 inch mesh for smaller bodies. 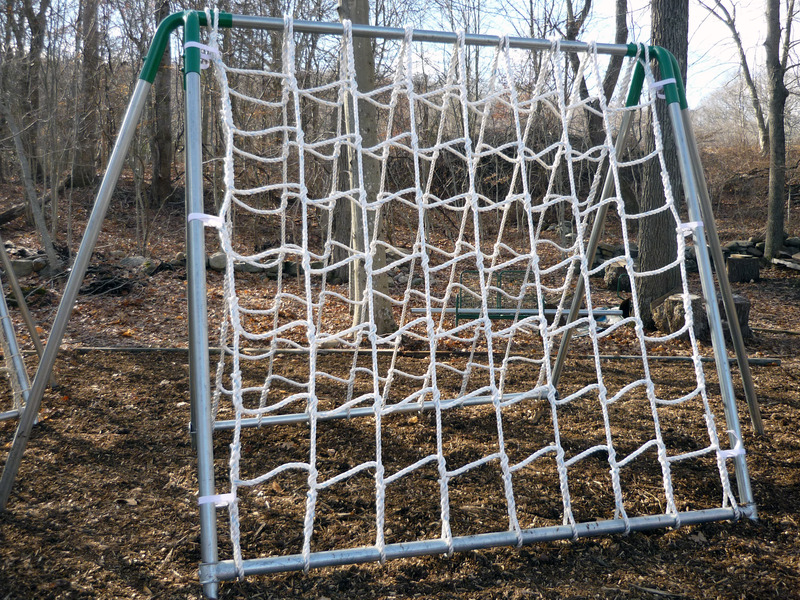 Unlike the indoor scaler net, the outdoor systems features 2 individual nets, both with 4″ ID loops on top and bottom for easy installation. 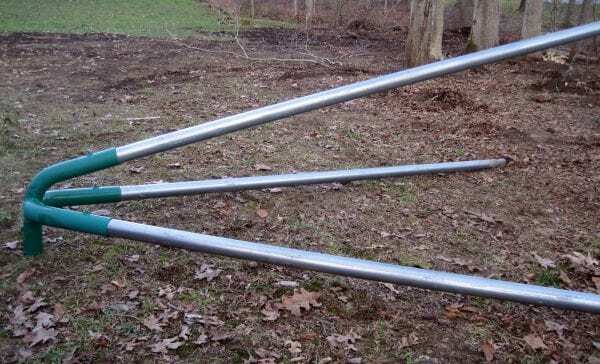 Simple thread pipe through loops and then into joints. Pipe for frame not included. We do carry the joints that you can purchase but pipe must be purchased at your local hardware store.